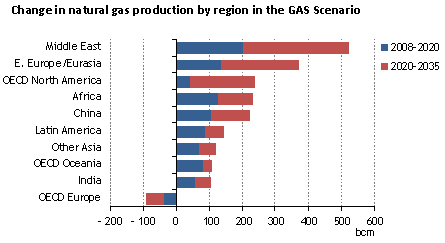 Due to increasing gas production as a side effect of its oil boom, Brasil has been near the forefront of implementation for advanced and scalable methods of gas to liquids and gas to chemicals. Its new gas to chemicals complex in southeast Brasil aims to accelerate the rate of this important and economical substitution of cheap gas in place of more expensive crude oil. Foster Wheeler AG has been awarded a contract by Petróleo Brasileiro S.A. (Petrobras) for a world-scale grassroots gas-to-chemicals complex in Linhares, Espirito Santo State, southeast Brazil, called Complexo Gás-Químico UFN-IV. Foster Wheeler will provide basic engineering design (BED), front-end engineering design (FEED), and technical assistance and training during the engineering, procurement, construction (EPC) phase through to successful completion of the plant performances tests. Foster Wheeler will act as integrator for the entire complex, managing the overall BED and FEED, including managing the process licensors and Brazilian subcontractors. The BED/FEED phase is scheduled for completion at the end of 2013. As can be seen in the chart above, other regions -- such as MENA, Russia, and North America could also benefit from an accelerated development of cheap natural gas to high value chemicals and fuels. The most economical means of converting cheap unconventional hydrocarbons into higher value fuels and chemicals, would be to use inexpensive high quality process heat from scalable, factory-produced, gas cooled high temperature nuclear reactors. But we cannot expect to see such reactors coming off the assembly line for another 10 years, unless more enlightened political leadership takes the stage in the US and Europe. In the meantime, natural gas will be used to fuel its own conversion to higher value fuels and chemicals, which reduces the efficiency and profitability of the overall process. Even so -- as Shell's Pearl plant in Qatar demonstrates -- GTL and gas to chemicals can be a very profitable enterprise. Just a question about the technology of gaz to fuel as you present it. The basic assumption is that the heat came from the gaz, but if you decise to use another heat source, like a (clean and cheap) nuclear reactor (let's assume low hypothesis of 500C and highest hypothesis of 1000C), will the reaction be much more efficient in term of gaz consumption ? Maybe can you also quickly answer for other carboned fuels, like coal, tars, biofuel, and pyrolized trashs. Absolutely. Efficiency jumps significantly when you can use all of your natural gas as feedstock, rather than tapping a portion of it to fuel the process. More here . . . and here. The links in the first article look at nuclear process heat powered conversion of gas, coal, kerogens, bitumens, biomass, and more. 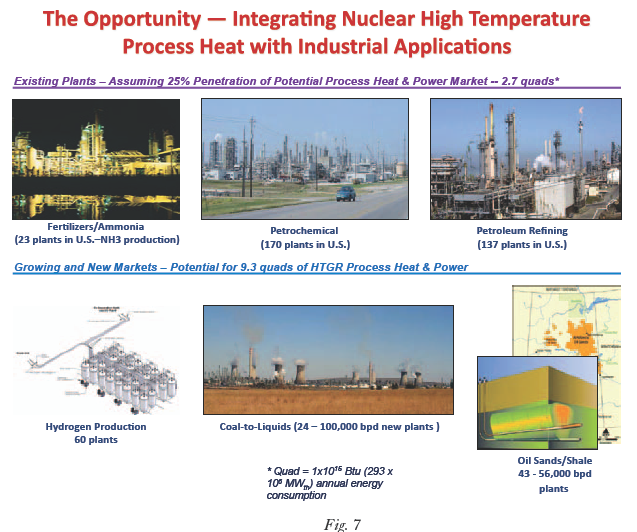 The second link looks at a broader range of applications for nuclear heat. France may lead the way in this regard, since Areva already has a high temperature gas cooled design which could be developed for these purposes, if the political and economic roadblocks could be leveled. The Persian Gulf countries might also take the lead. An alliance between a gas-rich Gulf kingdom and France for accelerated development of efficient gas to chemicals and fuels might be ideal.